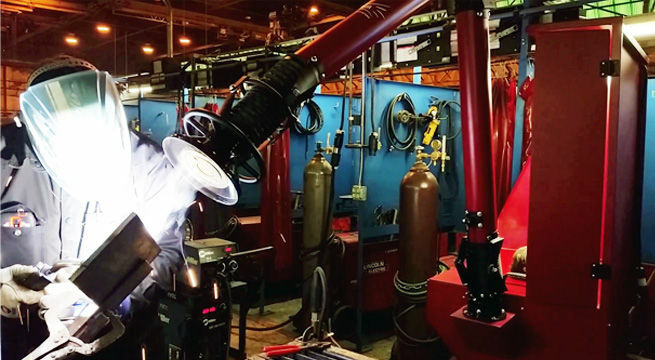 Micro Air TM1000 captures weld smoke and fumes, reducing hexavalent chromium to below OSHA PEL limits. 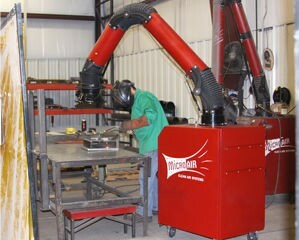 XA23 Downdraft Table with 4 inch diameter source capture arm offers multiple methods of weld smoke and fume capture. RP2 - The collector of choice when your requirements are for a small portable collector. TM1000 Taskmaster is engineered for versatility with multiple attachment options. 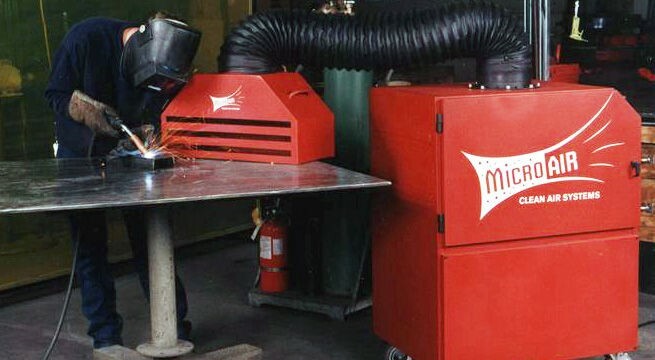 Micro Air TM1000 equipped with backdraft hood removes smoke and fumes from the work area. 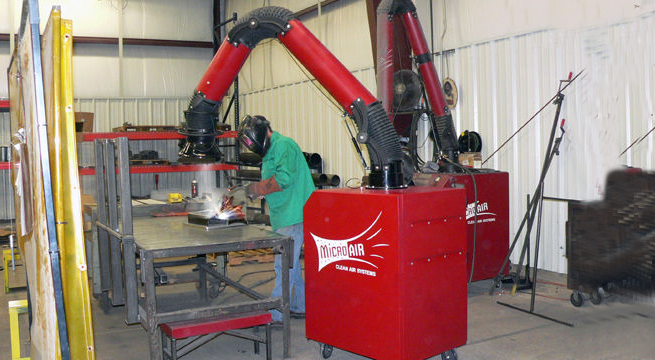 Micro Air® manufactures a complete line of portable collectors. from the TM1000 cartridge collector, for lighter duty or smaller volume applications to the MC1500 cartridge collector for heavy duty production. The TM500, our newest addition to the line of portable collectors, equipped with a baffle prefilter and your choice of a 95% DOP HEPA or 99.97% DOP HEPA, fits the bill where space constraints are an issue or where a wall-hung unit could be used. Media units utilize a series of filters to collect the particulate. These include pre-filters, media bag filters, HEPA after-filters and charcoal modules. 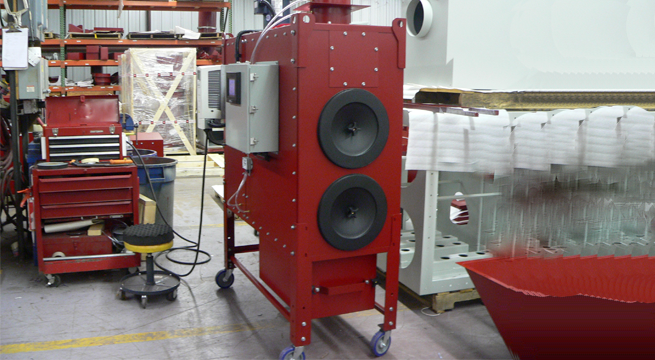 Any of the media units can be configured with any combination of media to most effectively capture the specific particulate or fume. Cartridge units utilize self-cleaning, high efficiency cartridge filters, that reduce filter replacement costs, as the filter elements are continually cleaned by compressed air. All Micro Air® cartridge collectors utilize Micro Air's® exclusive Roto-Pulse cleaning system. Because this cleaning system cleans the entire surface of the cartridge, it has proven to be far more effective, than the traditional reverse-jet system, thus extending filter life. Cartridge collectors can also be equipped with HEPA filters or Charcoal Modules. 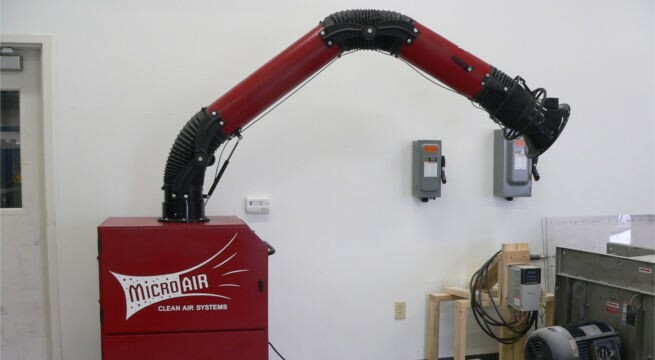 Micro Air® Portable Air Cleaners are your clean air solution to multiple industrial applications! Micro Air® equipment, engineered with versatility and user-friendly features, are sold by a national network of trained air cleaning professionals. In addition, we provide factory support including design consultation, CAD drawings and technical assistance at no charge to the end user. Micro Air's® TM500 Portable collector with it's compact design, provides for ease of movement, while the small footprint saves valuable floor space. 120V, single phase, electrics provide for low power requirements and easy plug and play installation and operation. Additional features such as multiple attachment choices, disposable filters and wall hanging options adapt this unit to multiple applications or processes. 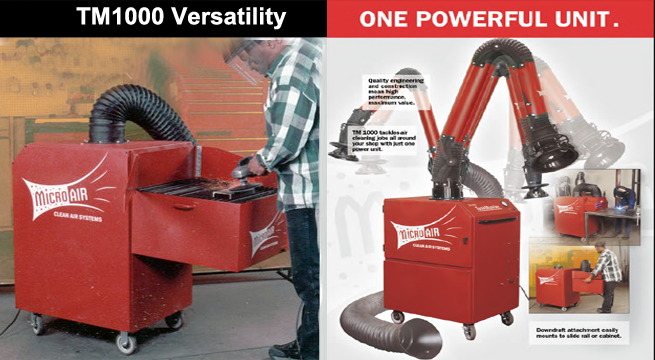 Micro Air® MC1500 is the workhorse in the line of portable collectors, suitable for heavy-duty production operations. Available with single 6" or 8" dia. 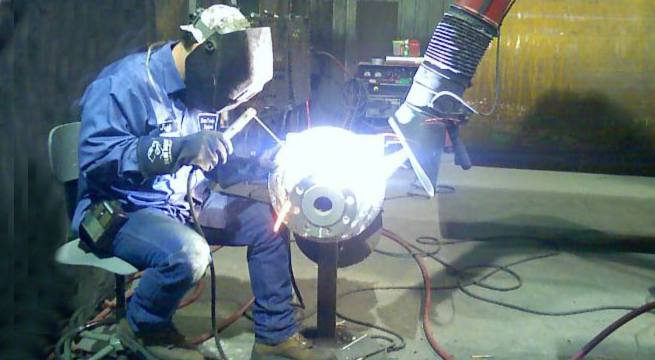 arm or dual 6" dia arms, the versatility of this unit makes it an easy fit in any operation. 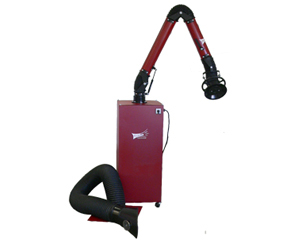 Micro Air's MA4210 portable collector is a budget-conscious selection for weld smoke and fumes, grinding dust, and is a great selection for odor control utilizing the carbon afterfilter with volume capabilities of up to 120 lbs of charcoal. 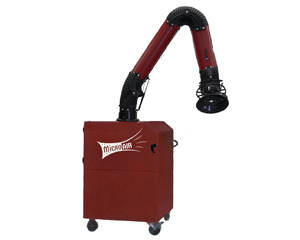 Micro Air® RP2 ducted to hood on buffing and polishing operation.